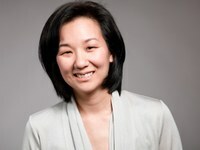 Table discussion leader Erin Okuno, executive director of Southeast Seattle Education Coalition (SESEC), will talk about how we can build more inclusive networks. Erin has a simple yet often overlooked solution: listening. The next time you are in a challenging conversation, check yourself. Are you listening to learn or are you preparing your response to the person talking? 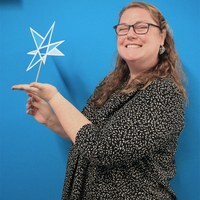 Erin developed her network-building skills and commitment to racial equity issues through her years working in K-12 and early education policy, supporting public libraries, and building education coalitions. SESEC rallies a grassroots coalition around the belief that every child deserves a quality education. Kelly Brown, executive director of North Helpline, will lead a discussion group on the topic “Self-care as a Stewardship Strategy.” It is important, particularly for people who deal directly with clients experiencing severe stress, that nonprofit leaders shift their organization's culture away from the “scarcity mindset” so that staff are not burning out. Taking care of yourself and your staff can help create a resilient organization that is better able to serve the community. Come talk with Kelly and other executives about ways to be a better steward of your organization. There will also be an opportunity to pair up with another executive to talk with about your goals for this year. Email timt@501commons.org if you would like to receive a reminder email about this upcoming ED Forum – and others happening in 2018. Organizations with annual budgets under $1 million can email lucinda@501commons.org for a discount code to receive free admission. Online registration ends on Feb. 1 at noon.